Wow, the fishing really has come alive over the past week, with fish starting to show all over the coast. The flat fish seem to have moved in on Chesil, with plenty of Plaice, Rays and lots of Dabs from Abbotsbury and marks to the West. Mackerel are about in numbers worth targeting now and in amongst them will be some Herring. The Herring often run with the Mackerel during April and May. Each year seems to bring more fish. I love the taste of Herring and they make great bait as well. 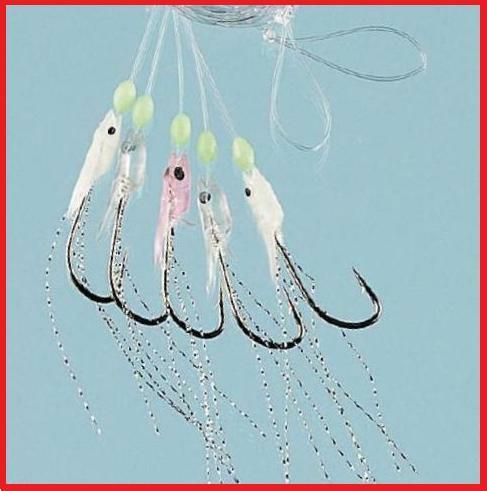 The most effective way of targeting Herring is to use Sabiki (Sabaki) lures. These lures are similar to Mackerel feather, but tend to have less material on them. Due to the Herring’s small mouths it is best to use the smaller size hooks. Size 4 is normally a good size. Be careful though as the smaller hook rigs normally use lighter mono, often only 15 or 20lb. Don’t go using 4 or 5oz leads to cast them out, as you will be in danger of cracking off and possibly injuring someone. The Herring are normally nearer the top of the water column. As soon as you cast out, retrieve the slack line and start working the lures as you would Mackerel feathers. A Carp or other light rod is ideal for this type of fishing. Lure fishing is slowly starting to kick off now, with Pollock finally starting to show around the coast, and Bass being caught in numbers on bait, it will only be a matter of tie before they are being caught frequently on lures. Bearing in mind that Herring are about and Bass feed on what food source is available. 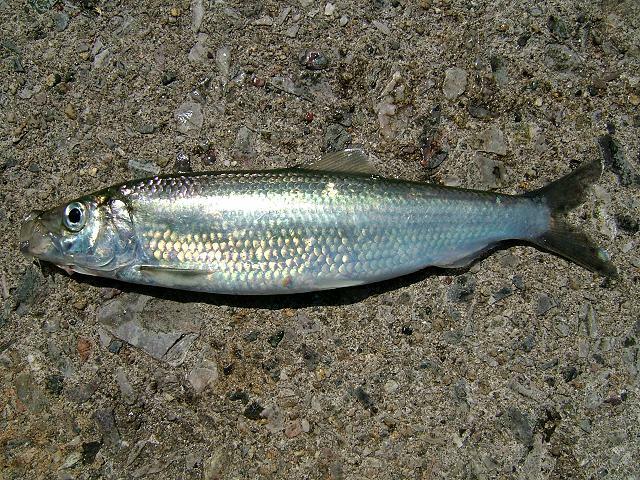 It would be well worth having a Herring coloured Shad in your lure box. 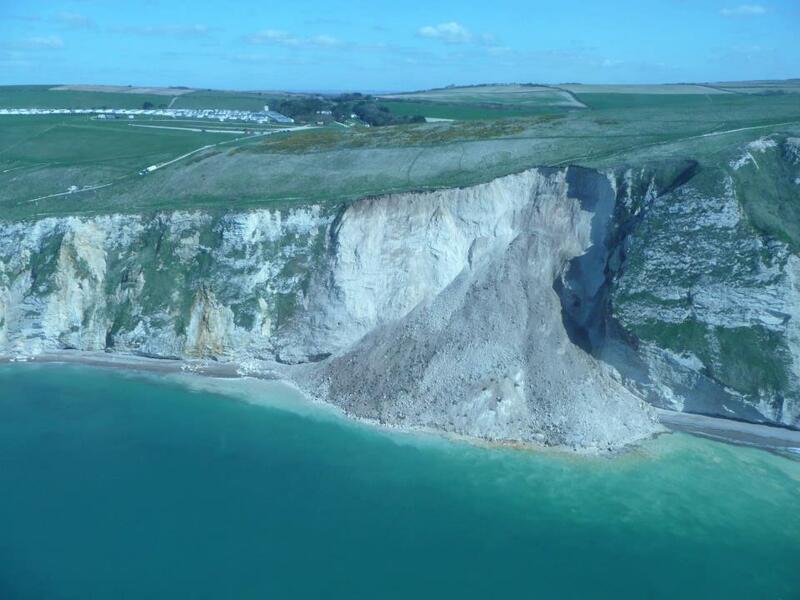 I know a lot of you like to fish in some out of the way rock marks when lure fishing, but please be careful where you go as yesterday we had a huge landslip near Durdle Door. I am sure a lot of you will have seen it on the news, but for those that did not, here is a picture of it. Water temperature 8.6*c. no change for a week now. Chesil Beach forecast: Mackerel and Herring are going to be on the whole length of the beach. Head towards Portland for Pollock, Wrasse and the odd Ray. If you are looking for Plaice, Dabs and more Ray then West Bexington or Abbotsbury would be a better choice. Night tides will produce Dogfish, Pout and Poor Cod. Portland: Clear water and sunshine to warm the rocks, will make Portland an attractive choice. Wrasse and Pollock should be around in ever increasing numbers from now on. My prefered method is of course lures, but float fishing with Ragworm will be just as effective. Weymouth Bay: The Stone Pier is producing some Pollock, Wrasse, Rockling, Pout and mini species. It will be possible to pick up Mackerel on float tactics any time now. Weymouth harbour is starting to have more Thick Lipped Mullet every day. The Thin Lipped Mullet will start to shoal up in there again.